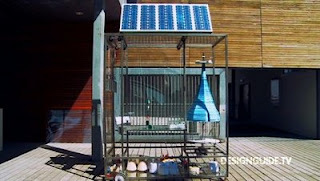 is a solar-powered system that fabricates objects from epoxy, dye and string, by turning a spindle. Solar energy generates electrical energy, which drives the motor, draws the string through the dye and onto the spindle: a chain of analog transductions produce an object that manifests specific changes in its local environment. "The installation is powered by a couple of solar cells which power the entire device, causing the process to move faster or slower depending on the amount of available light. 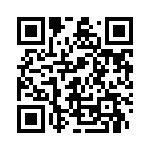 The speed of the process determines the amount of saturation of the thread, giving a visual recording in the resulting object." Its a kind of self styled 3D Printer depending on the armature or frame one chooses, but the finished product births the notion of locality, into the object, each day records the color intensity of the thread. Thomas Traxler recently graduated from the IM Masters department of the Design Academy Eindhoven.